Proactive Assistant vs. Google Now, Will Apple win with priority to privacy? 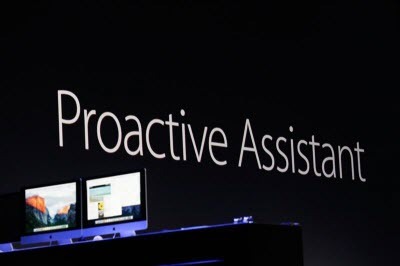 Apple Proactive Assistant, Will it win Google Now by giving high priority to privacy? Apple announced Proactive Assistant on WWDC 2015 this Monday Morning, which is Google Now’s big competitor and updates to Siri, which will launch with iOS 9. The proactive assistant is a mix of Google Now and similar tools that aim to make the user’s life easier by trying to infer what they may want to do at a given time — but with a focus on privacy. Apple plans to be just as proactive with machine learning and its mobile platform and anticipate your needs. The catch is that Apple's master plan revolves around being more human and tuned into privacy concerns. But have you ever worry about the privacy issue while enjoy this really useful service? Does Apple really give high priority to privacy as they announced? Contrasting Apple WWDC to Google I/O, you can find that Google is looking to anticipate your needs and get to know you. Google is also looking to integrate its algorithms and machine learning with everything from photos to music to apps. Search and the text ads that go with it---are integrated throughout the platform. With Google you're always logged in. Google's goal in a picture goes like this. Apple took shots at the Google approach to being proactive repeatedly. Apple Music revolves around humans and good music not algorithms and playlists the company's execs dismissed. Apple also said that its news app isn't going to be tethered to your account. The positioning here is obvious. Android ties you too much to Google. Apple can anticipate your needs without strings.The big question is whether customers care about the privacy strings. People regularly share information with everyone. Your data is the new currency. There are no free rides. Overall, Apple's privacy theme is certainly notable. However, Google Now has a habit of delighting too. Ultimately, the privacy theme matters only to the degree the trade-off makes sense.